I bet you didn’t know my hair was this long. I’ve had it short since 2001, the longest it ever gets is about this length. 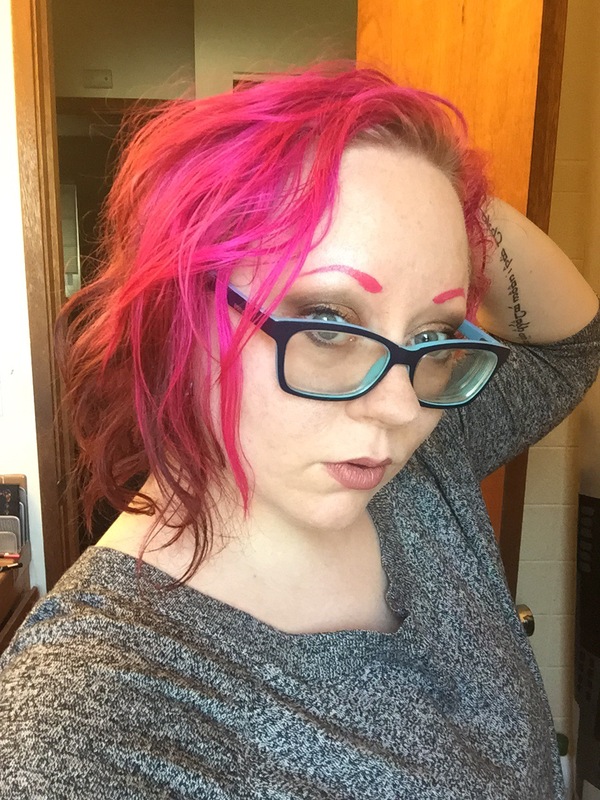 When I dyed it recently, I couldn’t get all of the black out, but due to some stroke of luck I got enough out that it dyes burgundy when I hit it with the fuchsia dye I use (SpecialFX Virgin Rose).